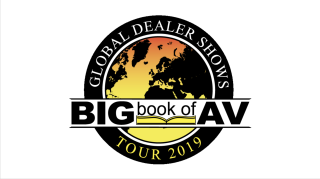 Stampede is kicking off its 2019 Big Book of AV Tour & Conference Series on Thursday, Feb. 7th in Ottawa, Canada. The day-long event will be held at the Westin Ottawa (11 Colonel By Dr Ottawa K1N 9H4 Canada) from 10:00 a.m. to 2:00 p.m. Attendee registration is now open here. “This year’s Big Book of AV Tour & Conference Series will feature new on-site speakers and presentations, and offer customers and resellers more opportunities to accelerate their business growth in the new year,” said Stampede president and CEO Kevin Kelly. “Being home to some of the best and fastest-growing tech companies in Canada and often referred to as the 'Silicon Valley North,' Ottawa is the ideal place to kick off the 2019 Big Book of AV Tour & Conferences Series." The event will begin at 10:00 a.m. with a Tech Showcase Exhibit where attendees and manufacturers—like Legrand AV, Atlona, Samsung, Optoma, and Peerless-AV—have the chance to meet one-on-one to discuss the latest products, systems, and services. A complimentary breakfast will also be served during the showcase. The day will also feature a series of on-site presentations on topics like drones and 4k projection and displays. Additional upcoming dates and locations for the 2019 tour include Nashville, TN on Feb. 21and Paramus, NJ on March 14. For more information, visit bigbookofavtour.com.